We all are familiar with the consumer digital cameras that are in our pockets, mobile phones and personal computers. Thanks to incredible advances in microelectronics, CMOS image sensors and optics, most of us have a very good camera within reach most of the time. Now these tiny cameras are inspiring product engineers in “non-consumer” applications—such as biometric identification, medical and diagnostic devices, and machine vision—to make even greater products. In fact, markets for these new applications are projected to grow faster than consumer camera markets over the next few years. 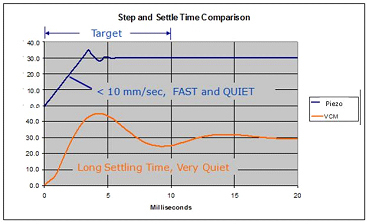 In this article we discuss sensor and lens requirements, compare the M3-F focus module to voice coil motors and stepper motors, and talk about image processing, digital signal processing and other system considerations. Typically, biometric, medical, and industrial imaging applications need high-resolution images. This generally means the need a digital sensor with more than 5MP and a sharply focused image of the subject. Usually the subject is less than one meter from the camera. A camera with a fixed lens produces images that are always a compromise in focus for a wide range of subject distances. For these markets, this compromise is simply not good enough. If a camera has a fixed lens the subject must be moved relative to the camera to achieve a sharp focus. For example for iris scanning the person must move forward and backward in front of the camera until a valid and in-focus image is captured. Another example is barcode scanning where the operator must move the camera relative to the barcode until a valid data capture is achieved. For industrial and medical imaging the optical requirements are typically a smaller field of view and a shorter depth of focus, which makes it even harder to position the subject. So whether it’s imaging a face or iris for biometric ID or sample scanning for medical diagnostics, manual positioning to achieve “best focus” is time-consuming, not user-friendly and produces lower quality images. When you add precise lens movement to your camera, you can automatically focus the image with less need to carefully position the subject. The camera will have higher throughput with the ability to capture images faster, it will have greater usability, and it will deliver higher image quality at the same time. 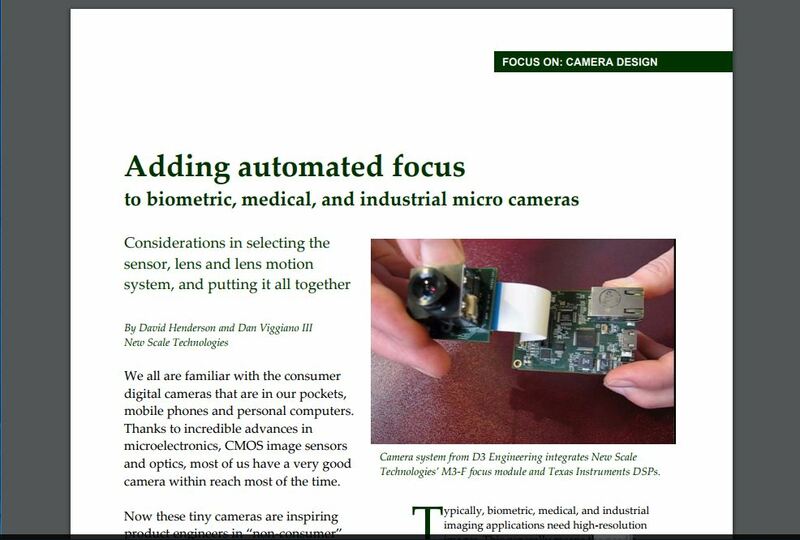 So what does a system design engineer need to know in order to create a focus camera for these applications? It’s basically a three-step process. The first step is selecting your image sensor. 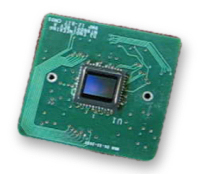 There have been great advances in CMOS digital image sensors driven by consumer applications. This industry produces more than 1 billion sensors per year which has created opportunities for even more growth in the “long tail” of non-consumer applications. Your targets for image resolution and camera size. These will determine the number of pixels and size of pixels you will need in the sensor. Today very high quality sensors are available with more than 5 MP in a 1/3” format. Your need for color vs. monochrome imaging. Your need for visible or infrared sensing. Your lighting conditions. These will determine the pixel requirements for light sensitivity and dynamic range. The second step is selecting the optical lens. Advances in polymer and glass optics have kept pace with digital image sensors. Optical engineers today can select from many high quality polymer materials in addition to traditional glass materials. In general, molded polymer lenses are used for the highest volume and lowest cost cameras while not sacrificing quality. A good optical company can help you design the best possible lens for your system. For example New Scale often works with Sunex optical engineers in California (www.optics-online.com), who help our camera customers source the lens assembly that best fits their requirements. Typically using a standard M12 threaded lens and barrel assembly we can quickly specify a lens that will be compatible with a 1/3” sensor in less than an 8 mm dia. and total track length less than 7 mm. Inside this assembly are 4 or 5 optical elements of molded glass or polymer. The front aperture lens captures the light and a sequence of carefully aligned lens elements bends this light into a flat field of focus on the image plane of the digital sensor. The distance of the lens assembly from the focused image plane changes as the distance of the subject from the camera changes. Thus, by precisely moving the lens assembly, you can focus the subject precisely on the image plane. M3-F Focus Module with piezo micro motor and embedded controller inside a module no larger than a fixed lens holder. Now that you’ve identified the image sensor and the lens assembly, you’re ready to add focus to your camera solution. This can be as simple as adding the M3-F focus module into your camera. Focus requires precise movement of the lens assembly relative to the image sensor. 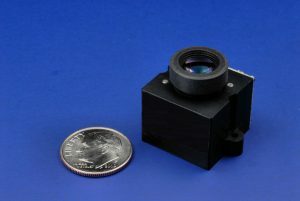 Precision movement includes two components: Micrometer-scale motion of the lens assembly relative to the image sensor, and precise control of the tip and tilt of the lens as it is moving. The M3-F focus module is best-in-class in both of these measures. The M3-F also offers a number of additional benefits. It provides the most precise focus in the smallest size for your imaging system. The M3-F performance also exceeds stepper motor solutions in all categories including size, lens mass, stroke, and precision and robustness. 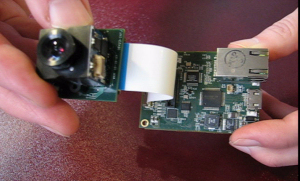 The M3-F focus module out-performs voice coil motors and stepper motors for non-consumer camera applications. Camera system from D3 Engineering integrates New Scale’s M3-F focus module with advanced digital signal processors from Texas Instruments. These DSPs integrate video analytics and image capture analytics, as well as interfaces directly with the M3-F to provide autofocus capability. Your auto focus camera system design is nearly complete. You have selected the image sensor, the optical lens assembly and the motion module for your camera system. Integrating these together, you have one final step: to consider the software and hardware needed for your image pipeline. Some image sensors are already integrated with an ISP or image signal processor. An ISP will include such things as your video or image analytics, interface with your hardware, and the interface with the M3-F module. It may also include an autofocus algorithm. The auto focus algorithm measures the relative “sharpness” of the image just captured. The typical output is a unit-less number that indicates the relative focus of some subset of the total image. Using this value, many options for finding the best focus position of the lens may be used. For example, one popular method is a “hill climbing” algorithm. After each move, a new image is captured and the new sharpness value compared to the previous sharpness value. After several iterations the best focus position of the lens is found and maintained by the M3-F.
All focus algorithms require position commands be sent to the M3-F, requiring a tight interface and integration between your ISP and the M3-F module. New Scale partners with image processing specialists such as D3 Engineering (www.d3engineering.com) who work with advanced digital signal processors from Texas Instruments. These DSPs integrate video analytics and image capture analytics, as well as interfaces directly with the M3-F to provide autofocus capability in camera solutions. Exciting new applications for biometric, medical, and industrial imaging are emerging every day. These new opportunities are possible because of the availability of higher-resolution image sensors, polymer optics, faster microelectronics, advanced software and New Scale’s M3-F focus module. Contact us for design assistance or more information.